Introducing our newest and largest Suite. 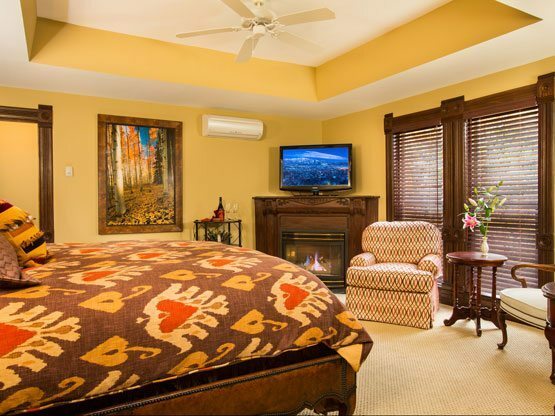 The “High Noon” suite sits alone above the garage with the best views of the ski area and the Yampa Valley. 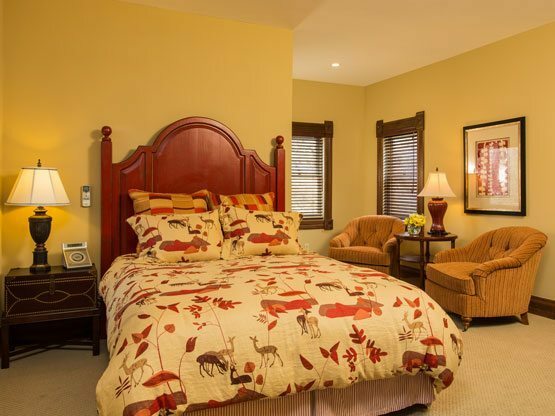 You will love the comfort and privacy of this bright and spacious suite just steps from the main house. 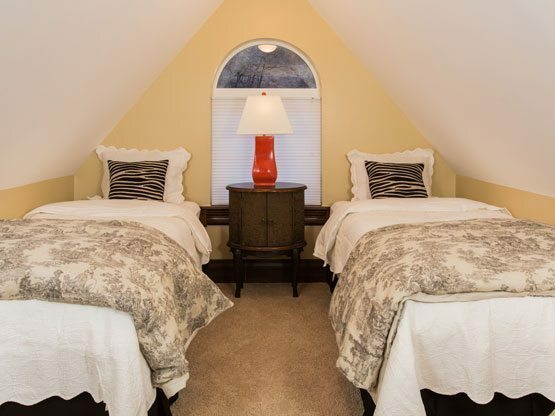 This beautiful and exclusive space offers a Queen Bed, living space, gas fireplace, a/c, walk-in shower, desk, large Flat Screen TV and free WIFI. 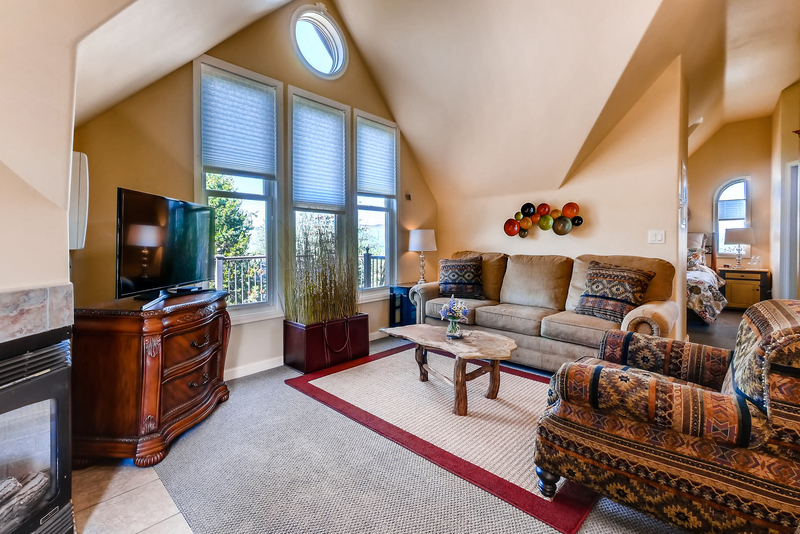 You can enjoy sipping on a glass of wine out on and its own private deck! 616 sq. ft. Additional $30 fee per person over 2 people. Rates are seasonal. Summer-Fall: $350, Winter-Spring: $350. Call for specials. This room is a minimum 3 nights stay. 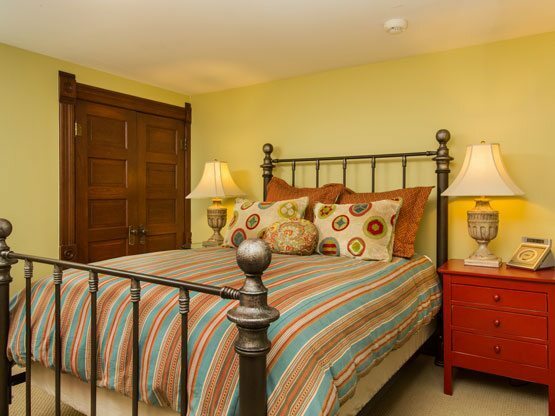 Our coziest suite with 174 sq. 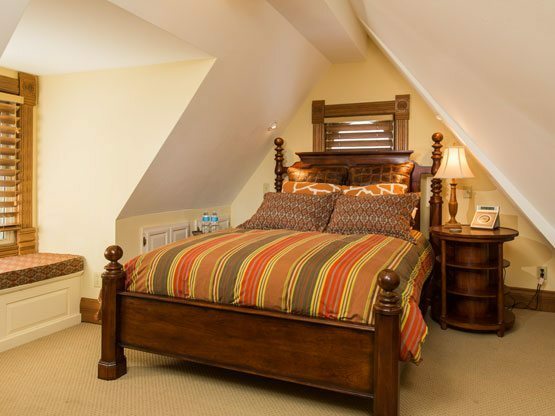 ft., the Christie is on the main floor and offers convenient access to the sun deck, and all of the amenities the Victorian has to offer. 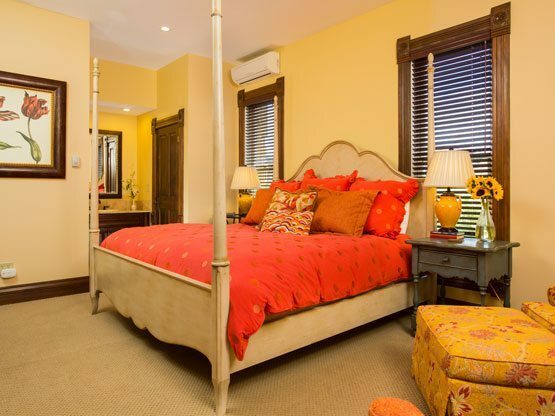 With a King size bed, luxurious arm chair seating, large flat screen TV, air conditioning, full en-suite bathroom, two closets, free wireless internet, providing a light and airy atmosphere, this suite is our hidden gem. Additional $30 fee per person over 2 people. Rates are seasonal. Summer-Fall: $295, Winter-Spring: $320. Call for specials.